It is hot here in Vegas, but it's nice. Hope you're fine. I love you. 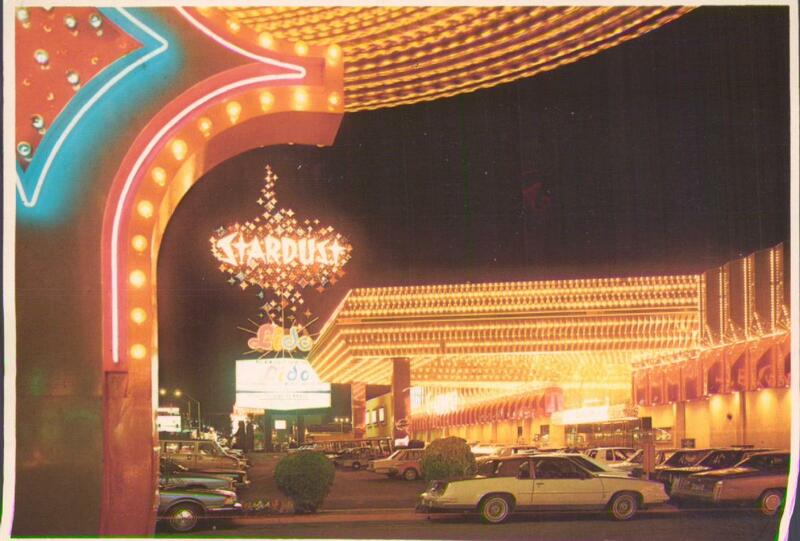 One of the most spectacular resort hotels in the world, the Stardust is a glittering hewel set among the bright lights of the strip. 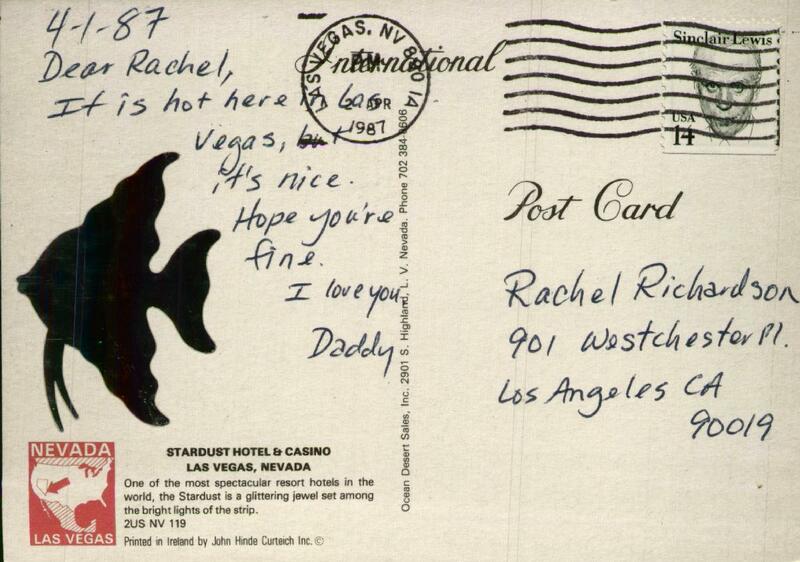 Unusual framing for a Las Vegas hotel postcard. Unusal silhouette sticker as well.